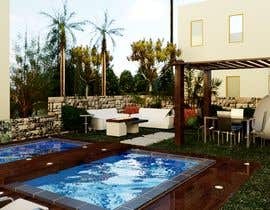 I'm interested in a landscaping project for a pool area of a private condominium. 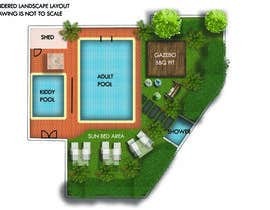 At the moment it has two diferent areas around the pool, a tile area and a grass area. The souroundings have been projected a few years ago and area is now very dated. I'm looking for a landscaping project that would give the area a breath of fresh air. I would prefer if the design use elements from shops and brands near from me, so I'll be able to accomplish the project. I would prefer low cost brands as IKEA or LEROY MERLIN, or some other online shop that can delivers in Portugal. The budget for the project should not exceed 5.000 euros. I would be open to any styles and new ideias. The designer is welcome to change any features of the area, as the tiles, the grass, it can be added new plants or tree, a fence, or some wooden features, wall painting, wall painting, new lighting. Please be aware that the surrounding areas of the pool are used for guests and owers to lay and relax while enjoying the pool. Designer is welcome to add sunbeds and sun umbrellas or pergolas.